If you're looking for a way to make a margarita that's a bit healthier and a lot tastier than your run-of-the-mill type, we've got a recipe that you'll love. It combines the simple ingredients of tequila, lime juice, and agave nectar for a smooth, delicious drink. This recipe also decreases your sodium intake over regular margaritas and increases your health benefits by using a combination of salt and milk thistle to rim the glass. Milk thistle has strong anti-inflammatory and antioxidant characteristics that can help boost your immune system. It's also known for its benefits for liver health. 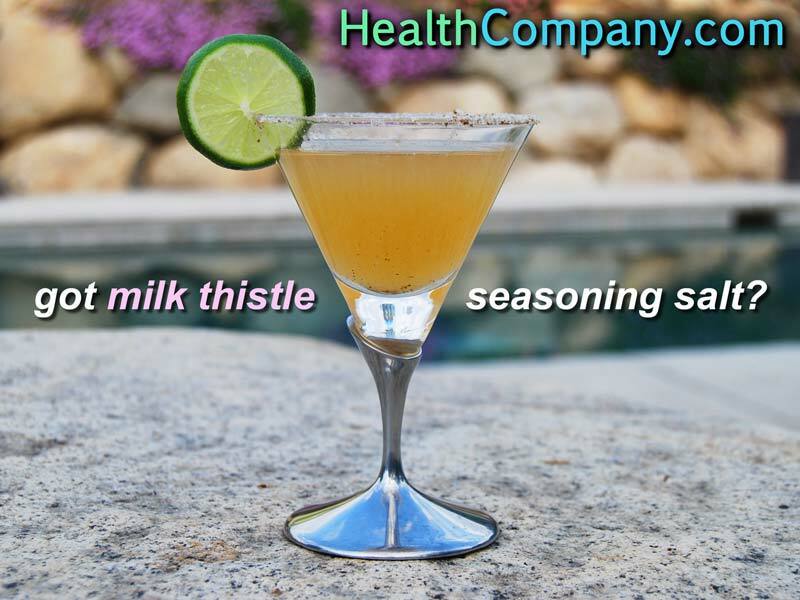 Combine salt and milk thistle in a coffee grinder and grind to desired consistency. It's best to use a grinder dedicated to herbs and spices rather than one also used to grind coffee. Run a sliced lime over rims of margarita glasses and dip them in seasoning salt. Set aside. Mix a 1:1 ratio (1/4 cup each) of tequila and lime juice with desired amount of agave nectar ** in a cocktail shaker and shake until nectar is dissolved. Add ice to shaker, shake, and then strain through cocktail strainer into prepared glasses. Garnish with lime slice if desired. Blanco or silver tequila is not aged. It is usually clear in color. Reposado tequila has been aged in an oak barrel for a time period usually between a few months and a year. It is a light gold color and tastes smoother than blanco or silver tequila. Añejo tequila has been aged for over a year. It is a darker gold color and tastes the smoothest. Many people feel that blanco or silver tequila is the best for making mixed drinks like margaritas, but you can actually make a lovely, smooth margarita from reposado or añejo tequila and can often get away with less agave nectar when you do so. ** When using more aged, smoother types of tequila, you will need less nectar. You might need more when using less aged tequilas (see above tequila categories). Note: Añejo tequila was used to make the margarita in the picture and is responsible for its dark, rich color. Learn more about milk thistle and its benefits here: www.milkthistle.com.